Through today, November 23rd only, you can save up to 45% off select Chromebooks! 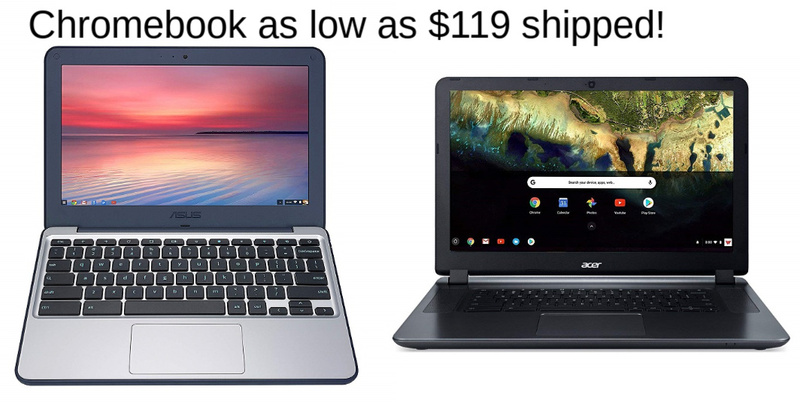 One of my favorite deals is this ASUS 11.6″ Chromebook for just $119 shipped (regularly $229). It is water resistant, lightweight and has 16GB of internal storage with an additional 100GB of Google Drive storage.